The Duke Smart Home Program is looking forward to a year focused on developing and carrying out a variety of energy storage projects. The organization—which includes the Home Depot Smart Home, a live-in research laboratory operated by the Pratt School of Engineering—strives to utilize methods of energy storage and solar energy production in a collaborative setting. This year, the Smart Home is working to create an electric bike and a solar bench, explained junior Harvey Shi, vice president of the Smart Home. "I think it is kind of good that our projects are all revolving around the same theme because we can really concentrate on it and spend our time learning about it," said senior Lauren Shum, president of the Smart Home. "It also means that people who are working on one project will have a lot of useful information to share with people working on other projects." Shi explained that the Smart Home is planning to build a solar bench that could benefit the Duke community. "The design behind the bench project would be to incorporate a large solar panel into the existing roof structure of a bench, reinforcing it if necessary," Shi said. "We would then add a weatherproof housing under the desk which contains batteries for nighttime use." In addition to these components, rainproof LED lighting panels will be added to the underside of the roof and USB chargers for mobile phones and tablets will be included, Shi said. He noted, however, that it will not be able to charge a laptop because this function would require an inverter, increasing both the cost of production and the complexity of the project. The students are also currently working to improve an electric bike created by members of the Smart Home several years ago, Shi said. Due to limited technology at the time, the original creators used a heavy mountain bike frame, a motor mounted to the front wheel and heavy battery in the back, he said. However, the new bike has a motor mounted to its bottom bracket where the front gears are attached to the bike, which allows for better weight distribution. Additionally, the frame is composed of a lighter, hybrid material, and the new battery is attached to the middle region in order to aid with balance. "The bike can be used completely with electric power, or can be switched over to pedal assist mode, where it provides just enough power output in conjunction with someone pedaling to deliver an even amount of power to the wheels," Shi said. Shum explained that the Smart Home acts in a residential and academic capacity in addition to being a student organization and club. Although only ten students can live in the Smart Home at a time, many others are involved in developing and creating projects related to technology or sustainable living. Jim Gaston, assistant dean of undergraduate research at the Pratt School of Engineering and director of the Duke Smart Home Program, wrote in an email that the Smart Home has always catalyzed teamwork with projects that focus on new technologies and sustainable living. He explained that the building currently only produces about 10 percent of the power needed to operate it but that students are currently researching ways that the Smart Home could become "net zero" and produce all the power needed to operate itself. The Smart Home's innovative use of energy and electricity also extends to the environment in which they live. "We built this app that lets you control all the lights in the house from your phone," Shi said. "All the lighting in the Smart Home is connected to a unified grid and so we put a server down in the basement that taps into this network. Now we can use our phones to control the lights wherever we want." Students also utilize a community garden next to the Smart Home, where they can grow their own food to help improve composting efforts on campus, Gatson explained. He noted that the garden has taken the "living learning laboratory" principles that the Smart Home has continuously fostered outside of the physical building and into the community. Shum noted that while many students are invested in working on projects that involve energy storage, some students are passionate about different issues and continue to research their topics independently. She explained that one student has been particularly passionate about farming and gardening and is trying to understand firsthand the implications of bee decline. In the Fall, Shum is seeking to pursue a Smart Home Fellows project to develop a solar pasteurizer, which would heat consumables—without electrical input—in order to kill germs. "We need to build an experimental prototype first as a proof of concept, but theoretically, the heat treatment should be able to achieve the most intensive form of pasteurization for milk," she said. "The most significant challenge I anticipate encountering is distributing the extremely focused heat such that we can heat up a relatively large volume of liquid." Gatson explained that the Smart Home fosters innovation in a collaborative setting to help improve Duke's campus. 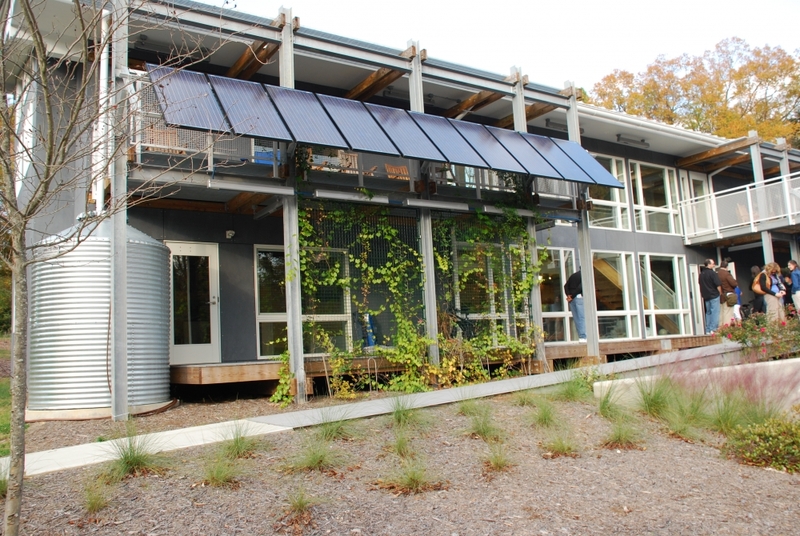 "The Duke Smart Home was the first LEED Platinum building on campus and remains an outstanding example of what Duke students can do when they combine unique ideas with hard work and determination," he wrote.